Liever zwemmen in de natuur? Klik hier voor meer informatie. 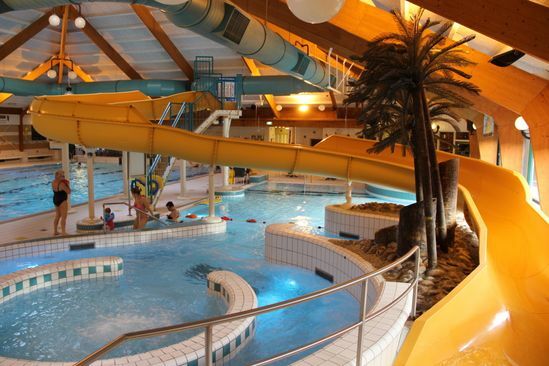 Swimming enthusiasts can swim a few lengths at various places in the Kop van Drenthe: Norg and Roden have beautiful indoor pools with a range of additional facilities. 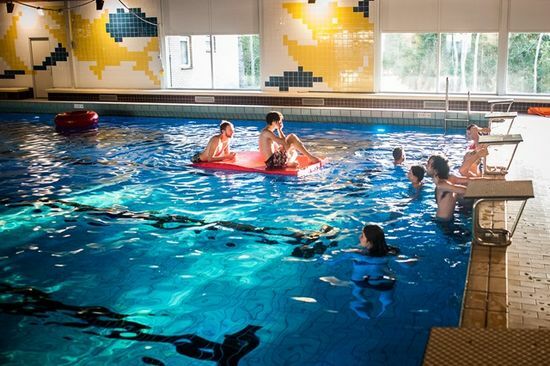 In Veenhuizen and Peize, as well in Watersportcentrum Cnossen (Water Sports Centre Cnossen) at the Leekstermeer, you can enjoy swimming in the open air. If you would like to swim, sunbathe, and play, you can also go to the Rono beach, which is a true paradise for sun worshippers in nice weather. And right across the provincial border, around Nienoord Castle in Leek, everything is offered in one single place: a truly romantic castle with a museum, a petting zoo, a huge playground, and a spectacular outdoor swimming pool.